Hyaluronic acid is huge in the beauty world right now. If you follow any Instagram or YouTube accounts that have anything to do with beauty, it’s likely you’ve heard of this popular ingredient. The name can be deceiving, but hyaluronic acid is actually incredibly moisturizing. There are countless hyaluronic acid serums and moisturizers for skin, but your hair can reap the benefits of this hydrating ingredient, too. Lots of hair care brands are jumping on the hyaluronic train and formulating products with this ingredient. Kerastase has an entire line formulated with hyaluronic acid, and Kiehl’s has a conditioner meant for dry hair that contains HA. The Grow Gorgeous Hair Density Conditioner Intense is another great hyaluronic conditioner option. If you’re looking for a leave-in with hyaluronic acid, Honest Beauty has got you covered. Many find hyaluronic acid to be a great ingredient for hair growth in addition to its hydrating properties. Try massaging your scalp with an HA serum formulated for hair, such as John Masters Organics Deep Scalp Follicle Treatment & Volumizer. You can also use a simple hyaluronic acid serum, even if it doesn’t specifically say it’s meant for hair. A great budget-friendly serum is The Ordinary’s Hyaluronic Acid 2% + B5. This is a great option because hyaluronic acid, when formulated correctly, can hold 1,000 times its weight in water. That makes it a fantastic booster for your deep treatment. Try adding a few drops of the above-mentioned serums or conditioners to your deep conditioner. 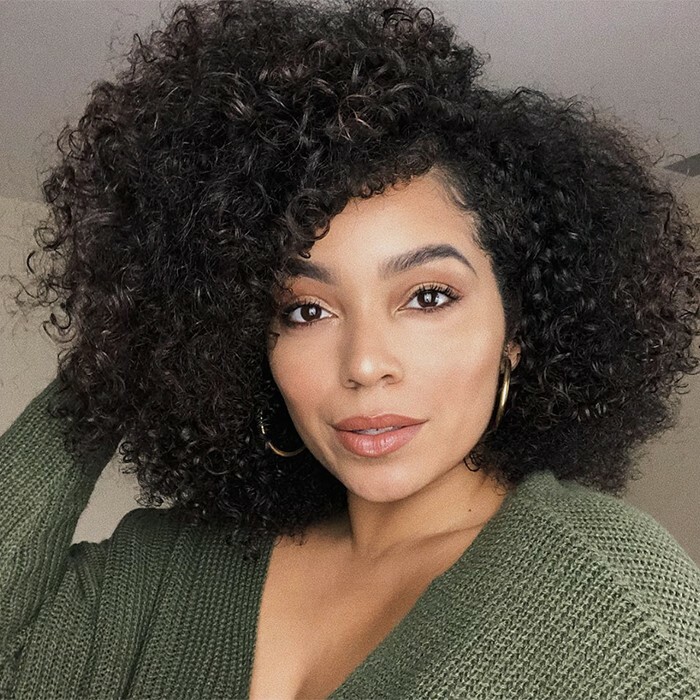 This option is especially great for the dry winter months, when curls need all the moisture they can get. Incorporating a hyaluronic acid serum into your refresh routine can help keep your hair healthy and moisturized, even when you’re cozied up next to the fire (or space heater). If you refresh with a spray bottle, dampen your hair and then smooth the HA serum onto your curls. For your edges, try Hairfinity Infinite Edges Serum. You can also massage it into your scalp for a little day two volume or smooth it over your hair to add strength and moisture, especially for chemically-treated hair. If your winter hair needs a moisturizing boost, hyaluronic acid is the way to go. No matter how you work it into your routine, you will notice the benefits of this miracle ingredient in your hair’s health. Want to learn more about why hyaluronic acid is so great? Check out this article. Have you tried hyaluronic acid in your hair care routine? Tell us what you thought in the comments!